Kari holds her master’s in music composition, with an emphasis in film and media scoring, from Columbia College, and her bachelor’s in music composition, with a focus on classical piano and voice, from Baylor University. She was a teaching artist, pianist, composer, and music director for award-winning non-profit Storycatchers Theatre for three years, as well as an accompanist for the Chicago Lyric Opera. Kari is currently a music theory instructor at the Chicago High School for the Arts. Kari loves to teach in a way that brings out the vibrant confidence and individuality in each student. Her teaching approach is accepting and relatable, focusing on meeting students where they are while providing a fun challenge in every lesson. She is excited to work with new Piano Power students in the year ahead. Ylva holds a bachelor’s degree in contemporary, urban, and popular music from Columbia College Chicago. While acquiring her degree, she worked as a nanny, honing a nurturing and effective child pedagogy. Upon graduating from Columbia, she combined her love of music and skills with children into a career in music instruction. Ylva’s warm and gentle manner, complemented by a healthy dose of humor, creates a comfortable and fun learning environment. Ylva believes that enjoyment is the key to learning, and she adapts her approach to her students’ interests and goals. Apart from teaching, Ylva’s passion is songwriting and arranging, with a focus on pop and contemporary country. She writes, sings, and records her own songs, and she loves helping her students write and arrange as well. 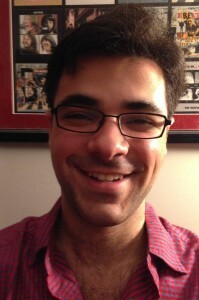 Justin Callis is a teacher, music director, and composer. He has worked extensively with students of all ages and backgrounds, bringing a warm, engaging style mixed with a healthy dose of humor. With Storycatchers Theatre, he worked for many years with incarcerated youth, transforming stories from their lives into original musicals, and music directing and accompanying their performances. He helped over 100 elementary school students put on a production of Madagascar, Jr. this past spring, and served as the music director for a production of Thoroughly Modern Millie at Glencoe Central School. He is the music director at Community Christian Church in Lincolnshire, and Shir Tikvah Synagogue in Homewood, where he prepares adult choirs for weekly services of spiritual music. As a performer, Justin toured the country with Child’s Play Touring Theatre, performing original plays and musicals based on the work of children, and he has performed with Chicago Opera Playhouse throughout Chicagoland. In the spring of 2018, Ravenswood Community Orchestra premiered Justin’s original work, Symphony No. 1. Justin graduated from Northwestern University with a bachelor’s in theatre and English, and a certificate in music theatre. He looks forward to working with more wonderful students in the year ahead. 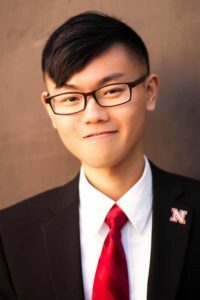 Originally from Lincoln, Nebraska, Jin is a composer, pianist, vocalist, and drummer. He received his bachelor’s in music composition from University of Nebraska-Lincoln, and he is currently pursuing a master’s in jazz studies at DePaul. 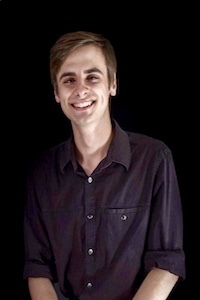 He won the 2018 TI:ME Electronic Music Composition Contest for his original work, “Letter to Dad”. Jin currently performs and writes for DePaul jazz ensembles and combos, as well as Eunfinished, a seven-piece jazz/hip-hop band. Jin’s teaching style is warm and engaging, and he loves helping his students discover new musical perspectives. He looks forward to a year ahead filled with music, learning, and fun. Sarah Diller moved to Chicago in 2014 after completing a master’s degree in opera performance from Wichita State University. Her piano study began at age 6, and she added vocal instruction starting at age 12. Since then, she has performed in choral groups throughout the United States, Europe, and South America. She has also performed with the Ohio Light Opera, the Gilbert & Sullivan Opera Company, and the Wichita Salon Series. Sarah has an enthusiastic, engaging approach, and she enjoys teaching all musical styles, including classical, Broadway, and pop. She has coached her students to great success in auditions and competitions, and is excited to share her love of music with students of all ages. After studying piano and voice at Sonoma State University, Andrew earned his bachelor’s degree in jazz piano performance in 2009. His easy-going attitude and sense of humor, combined with his love for all types of music, help his students to flourish while playing music they truly enjoy. To keep his love of music fresh, Andrew performs regularly with rock bands all around Chicago. Andrew holds a firm belief that everyone can find joy in music, regardless of experience or skill level. A full-time teacher since 2010, he’s coached students through all stages of the musical learning process — their first notes, first recitals, college auditions, and even performances at Lollapalooza. Dominic is currently completing his master’s degree in vocal performance at North Park University. An active performer, he sings in the North Park Chamber Singers and performs in North Park Opera productions. He is also the bass section leader and soloist at Trinity United Methodist Church in Wilmette, and sings with Constellation Men’s Ensemble. Dominic is a graduate of Moody Bible Institute, where he received his bachelor’s in sacred music with an emphasis in vocal performance. While at Moody, he studied piano and organ and was a frequent worship leader for chapel services. 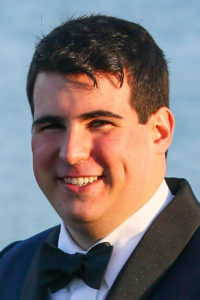 Equally comfortable in classical and pop genres, Dominic takes an integrative approach to teaching that focuses on fundamentals while encouraging students’ creativity and individualism. Chris discovered his love for music and performance onstage in musicals, singing in roles varying from the Scarecrow in The Wizard of Oz to the Balladeer in Assassins. His involvement in a cappella ensembles led him to become an ace song arranger, in styles from folk and jazz to pop and rock. Today, he performs with Deep Dish, a Chicago-based a cappella group, and composes for musical theatre. With degrees in theatre and music from Valparaiso University, Chris loves sharing his expertise and experience with his students. 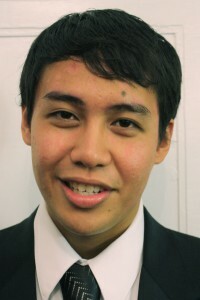 A deep love of piano and voice drives Chris to challenge himself as a soloist and ensemble member. In his lessons, Chris seeks to inspire that same enthusiasm in the next generation of pianists, singer-songwriters, and vocalists. A native of Seattle, Christine began her musical studies as a classically-trained trumpet player. Moving to Chicago and collaborating with jazz colleagues led her to pursuing a master’s degree in vocal jazz. She was accepted into one of the nation’s leading jazz institutions, the University of North Texas. There she focused on her new passion for singing, honing her skills in piano, songwriting, arranging, and improvisation. Since completing her master’s, Christine has enjoyed teaching piano, voice, trumpet, and theory to students of all ages. 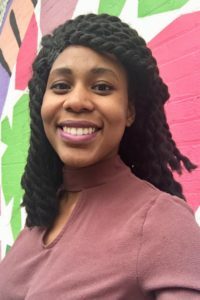 Her greatest passion is helping students find their personal connection to music, and helping them develop the technique and skills for self-expression. Whether through accompanying, facilitating original composition, arranging pop music, or using traditional literature, Christine leads her students to their goals in practical, attainable ways, by instilling creative and effective practice habits. Christine is very excited to be back in Chicago, her favorite city. Outside of music, she enjoys drinking coffee, reading, cooking new foods, and spending time with dogs. 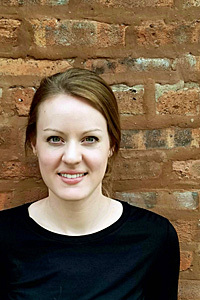 Mallory received her bachelor’s in music education, as well as her K-12 teaching certification, from North Central College, and her master’s in voice at the University of Missouri-Columbia. 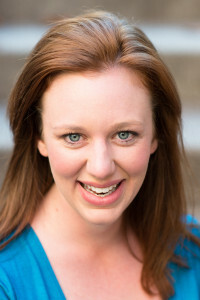 An active performer, Mallory was recently heard singing as Countess in The Marriage of Figaro with New Moon Opera. Mallory has been teaching piano, voice, and clarinet lessons for over a decade. She has worked with a wide range of students, from ages four to 92, from beginners to advanced musicians, and from home musicians to members of touring rock bands. 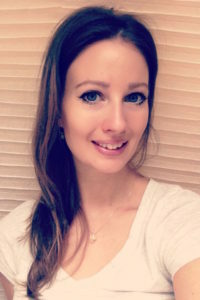 Her engaging style and comfort with all musical genres help her make great connections with her students. She is excited to work with more Piano Power families. Audie received his B.A. in music from Loyola University Chicago, where his emphasis was in vocal performance. He has sung as both a soloist and a chorister, in everything from classical to musical theatre. His piano expertise comes from years of technical instruction, along with personal exploration of chord-reading, improvisation, and arranging. He loves singing while accompanying himself at the piano, and he loves teaching this skill as well. In his spare time, Audie writes songs and has jam sessions. He plays and sings for Bonanzarafa, a group of friends who love music and love to have fun. 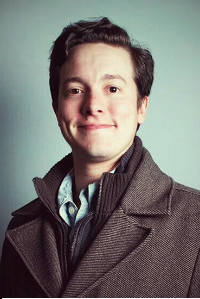 As an instructor, Audie facilitates growth — musical, academic and personal — in his students. He is thrilled to be a part of the Piano Power team! 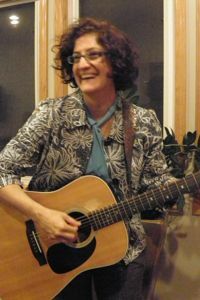 The product of a musical Tennessee family, Deanna’s music career began at age three, playing one-string bass in her family’s Italian folk group. Violin, piano, saxophone and guitar soon followed. Her love of music continued to grow, and she now has 15 musical instruments under her belt. Deanna has toured extensively, playing everything from classical to country to indie rock. Her resume includes stints with Will Oldham, Lambchop and Bobby Bare, Jr., as well as tours of her original compositions. Candace is a graduate of the esteemed jazz-studies program at the University of North Texas, where her emphasis was in vocal performance. While in the Dallas area, she performed with jazz, funk and pop groups. She also developed a private studio of voice, violin, and piano students, whose interests ranged from classical to pop. Candace has cultivated a lifelong love of music in her students, just as she has nurtured her own. She began at age five with piano lessons. By age seven, she had developed a passion for violin and voice that flowered in high school. During that time, Candace performed with the San Antonio, Wichita and Cincinnati symphony youth orchestras, as well as all-state choir and orchestra groups. She also began branching out into other genres, including a classic-rock electric string group and an original ska band. After moving to Chicago in 2010, Candace began singing with several local groups, including critically-acclaimed gypsy-jazz band Le Percolateur. Candace has performed on the Celebrity Cruise Lines Eclipse and Equinox Ships. Now retired from ships, Candace is excited to return to teaching as part of the Piano Power team. 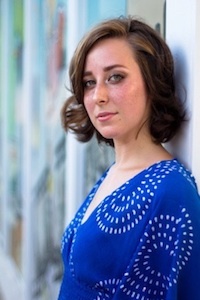 A native of Northern California, Shelby has studied classical piano since the age of six. With a talented musician as a father, Shelby grew up participating in many musical functions. In elementary school, she starting singing in school and church choirs and picked up the violin and viola. 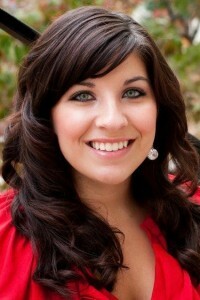 In high school, Shelby actively participated in her church by singing, playing keyboard, and leading worship. She also sang in a community chorus, performing a variety of Broadway hits, and started teaching piano in her home. In 2010, Shelby moved to Chicago and received her bachelor’s in music, with an emphasis in piano, from Moody Bible Institute. 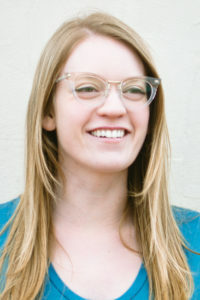 After graduating, Shelby briefly lived in Seattle, where she taught beginning and intermediate piano. Currently, she volunteers at a Presbyterian church in Skokie, singing in the church choir and performing piano preludes. Shelby strives to incorporate a well-rounded musical approach for all of her students, fostering an experience that is fun and educational. She believes music is an irreplaceable, energizing, and lifelong pursuit. Her patient approach motivates and encourages her students. She strives to elevate their talents so they can create, grow, and preserve the wonderful world of music, finding their own voice along the way. Shelby loves literature, writing and jazz. Claude Debussy is her favorite composer, Charles Dickens is her favorite author, and her family and friends are the dearest people in her life. Chen Yu combines masterful technique and passionate musicianship with an open, engaging, and upbeat teaching style. 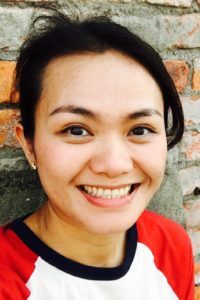 She holds a graduate performance diploma in voice and music performance from Baltimore’s esteemed Peabody Conservatory, as well as master’s and bachelor’s degrees from Tunghai University in Taiwan. Chen comes to Chicago by way of New York City, where she maintained an active piano and voice teaching studio and sung with the Bronx Opera Company. During her studies, she performed in operas like Mozart’s The Marriage of Figaro, soloed in Handel’s Messiah, and accumulated numerous awards for outstanding vocal performance. Chen started her piano studies at age six, started singing in her school choir a few years later, and began playing oboe in her junior-high orchestra. She loves guiding students along their musical journeys. Besides music, she loves reading books and cycling. Chen looks forward to working with more great families in the year ahead.